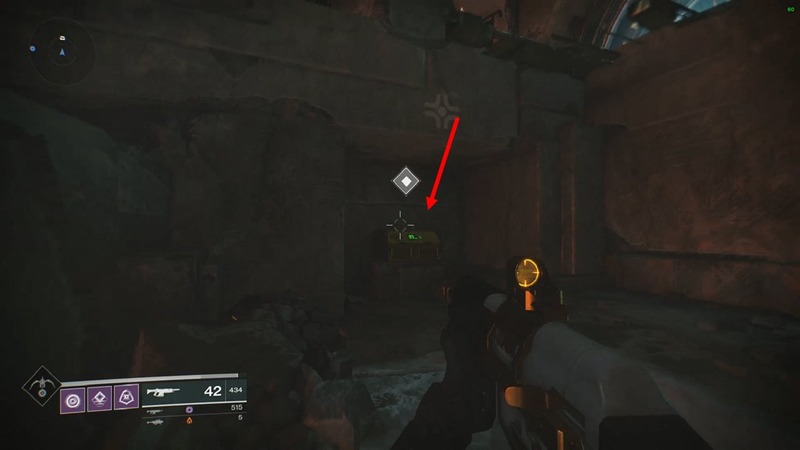 This chest requires you to interact with 5 books in a specific order within a time limit to disable the shield guarding the chest. 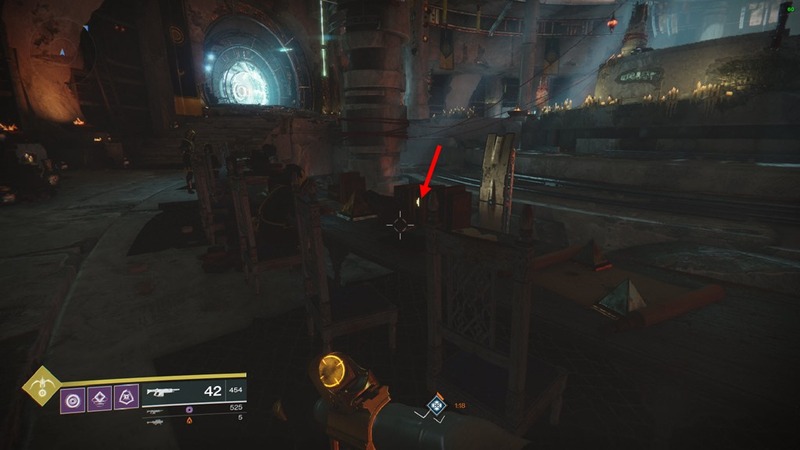 It is inside the Lighthouse, right below the path leading to Brother Vance. Book 1: Right by Brother Vance. 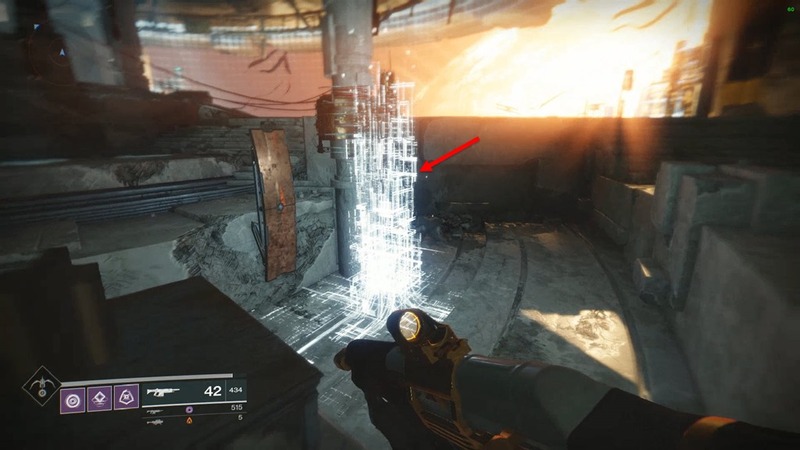 Book 2: If you are facing the portal to Mercury, this book is on the left side on a bookshelf. Book 4: Close to book 2, this book is on the desk with some NPCs. 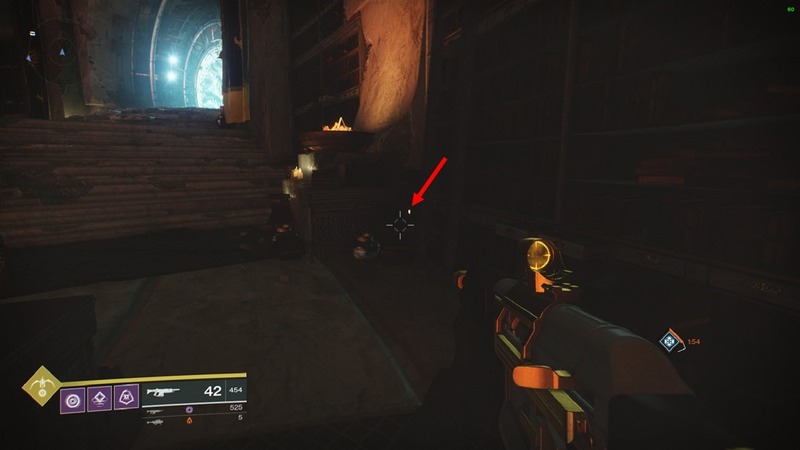 Book 5: If you are facing the portal, this book is on the far right side near the top of the bookshelves. 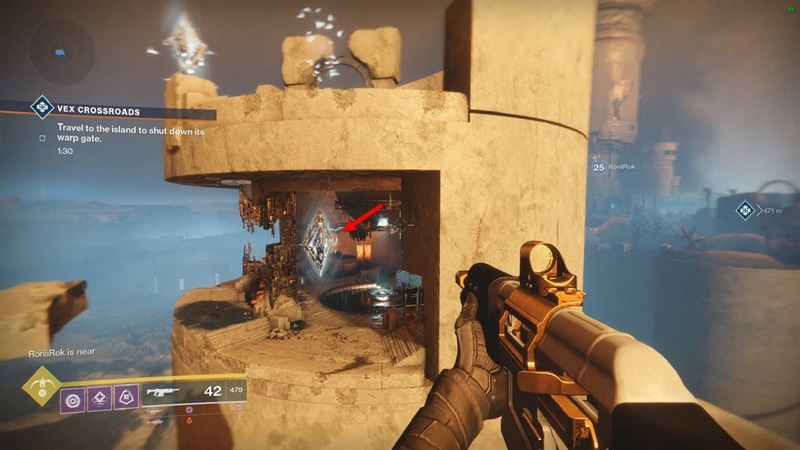 After you got all 5 books, there will be a conflux near book 4 that you interact with to disable the shield and grab the chest. 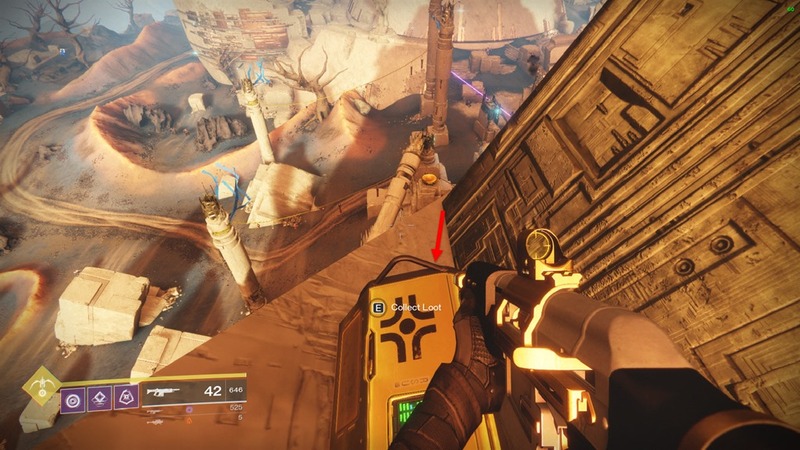 Easiest to reach from the landing platform which places you on a higher entrance to the Lighthouse. 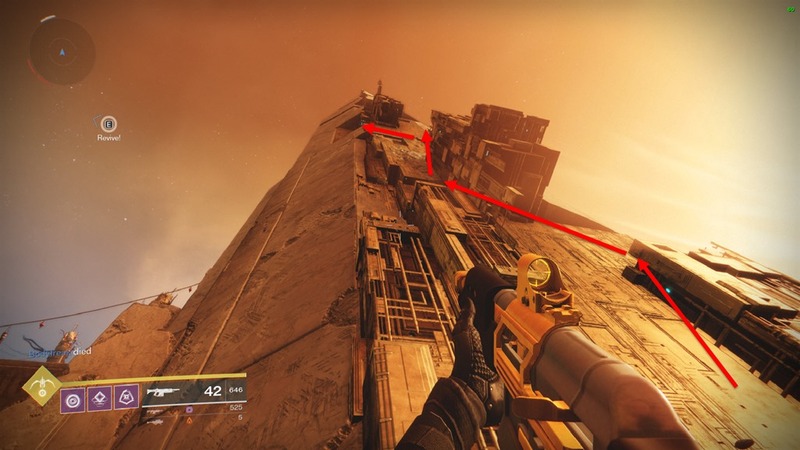 It is simply around the corner if you are facing the portal and run to the right side. 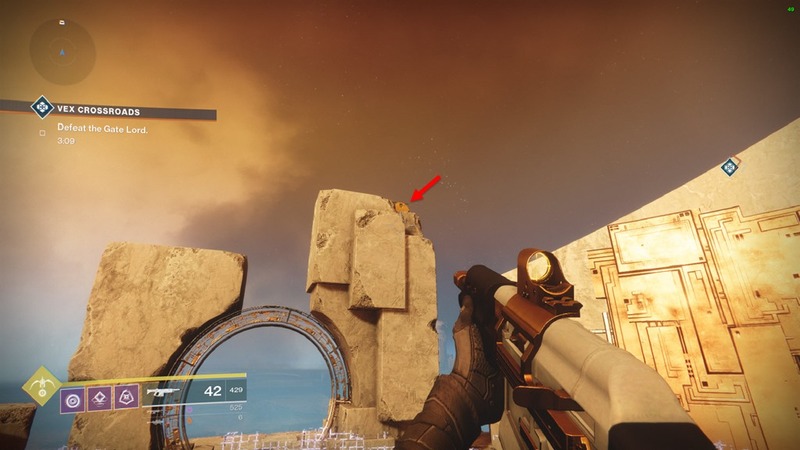 This one is slightly tricky since it requires a bit of jumping. 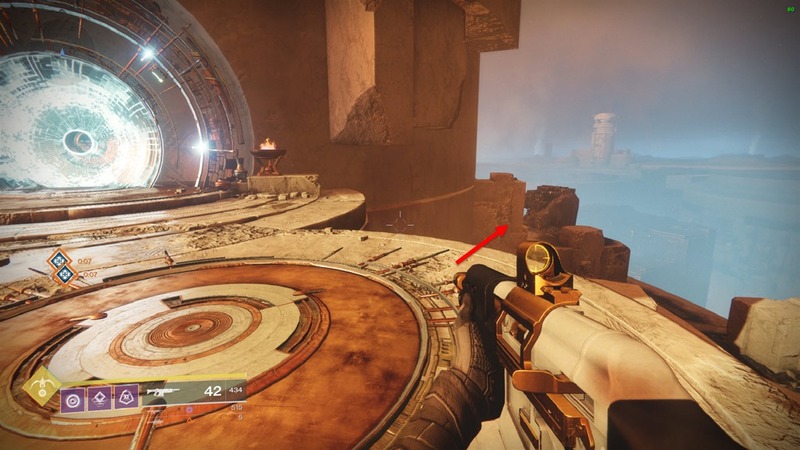 Head south from the landing platform to the entrance of Infinite Forest and while facing the Infinite Forest entrance, take a right and jump up the sloped wall. 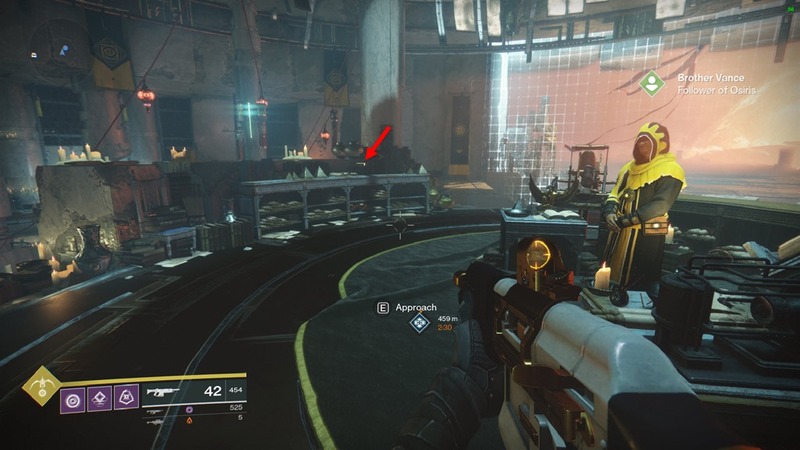 The chest will be on a cubby hole on the wall. 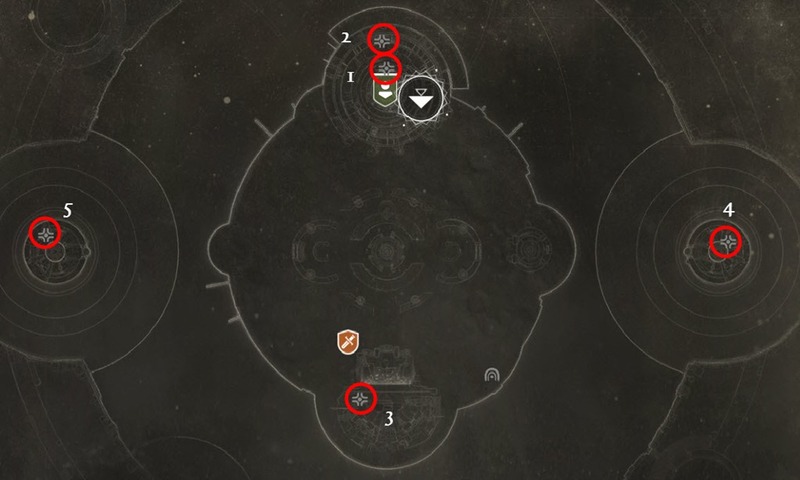 To get these two chests you need to do the public event Crossroads. 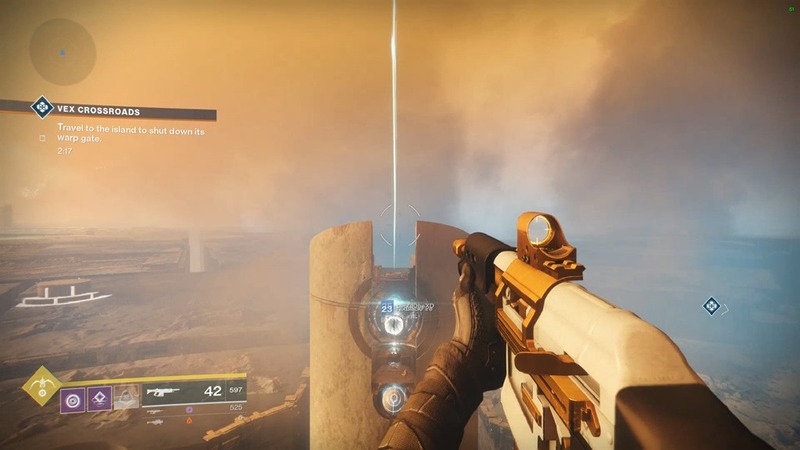 Once the event proceed to the stage where it shoot you across to the islands on either side, defeat the Gatekeeper on that island, dunk the Arc Charge and immediately start looking for a small floating Vex object in the air. 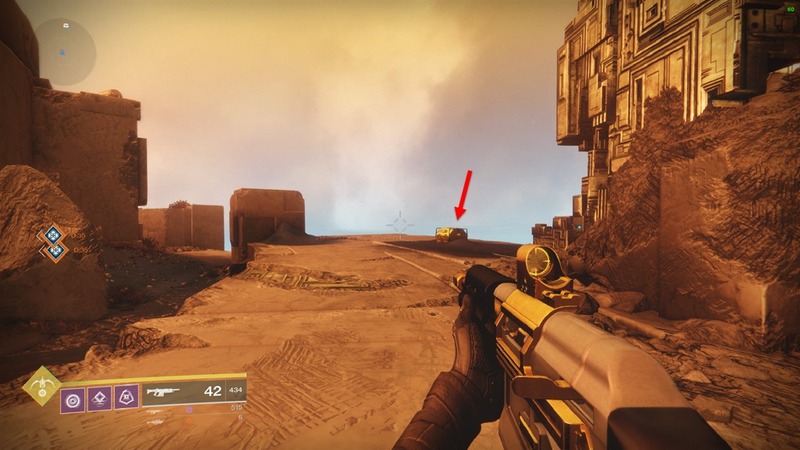 You have a few seconds to shoot it before it disappears. 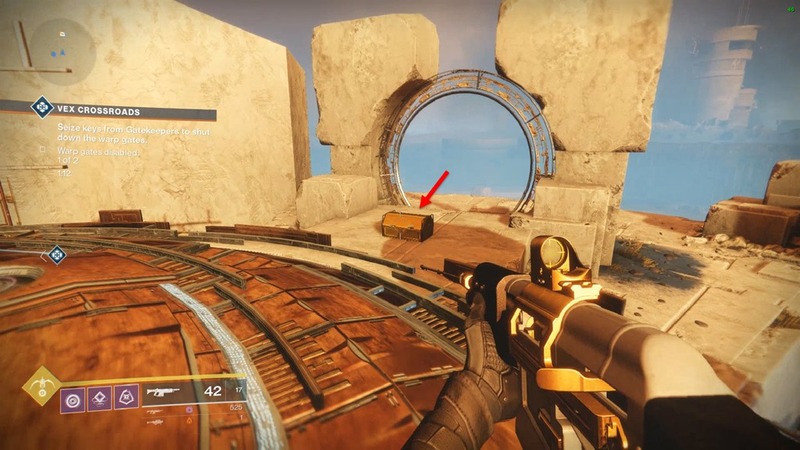 If done quickly shooting this object will spawn a platform you can jump on with more Vex things to shoot to spawn more platforms. 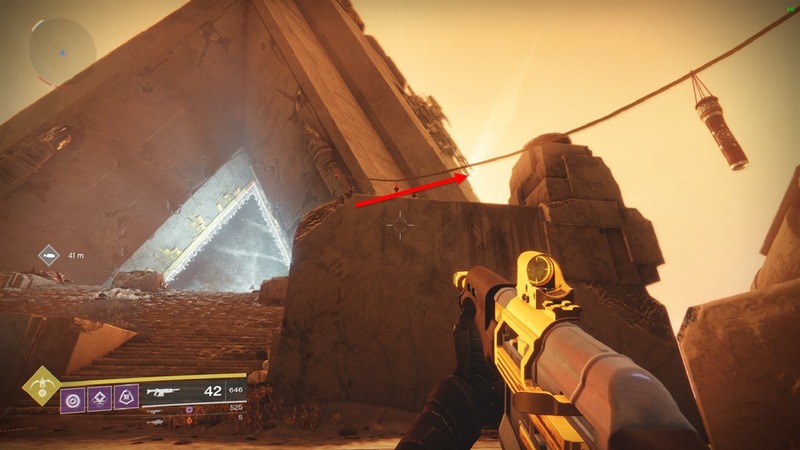 Chest #4 is on the right island (if looking at the map) and it is simply on the ground near the inactive gate. 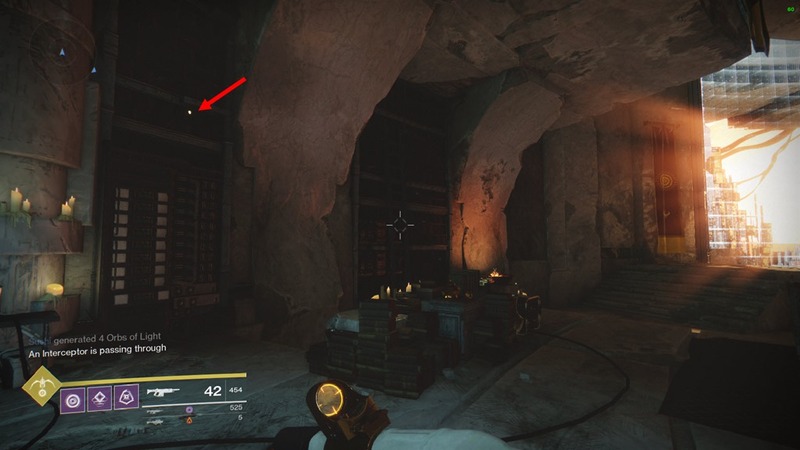 Chest #5 is on the other island and located on top of an arch. 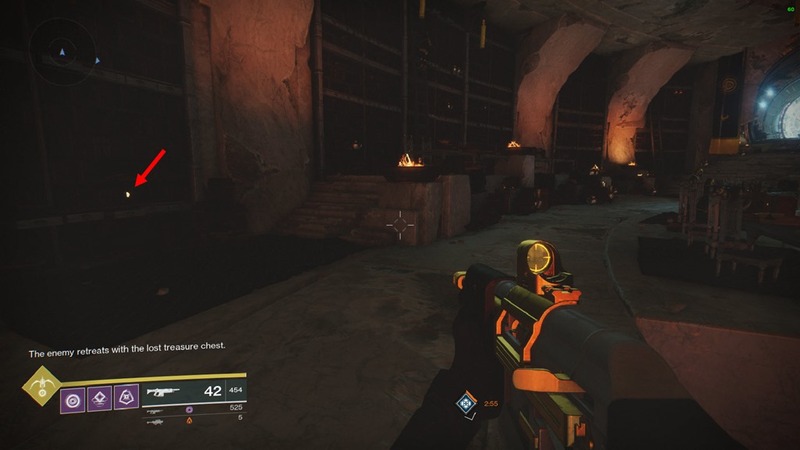 Something to keep in mind is that you can only get the chest on the first island you go to as the second island will just spawn the Gatekeeper in the middle of Mercury without spawning the floaty Vex objects So if you are planning to get chest on a specific island make sure you to do the event first near the island you already gotten the chest so you can complete the first stage of the event next to the island you need the chest and shoot straight across.